Soundtrack: The Killers "Hot Fuss" and "Sam's Town"
After watching K-State's basketball team reach the Elite Eight last night by beating Kentucky, I knew where I had to go and what the picture would look like for today's run. 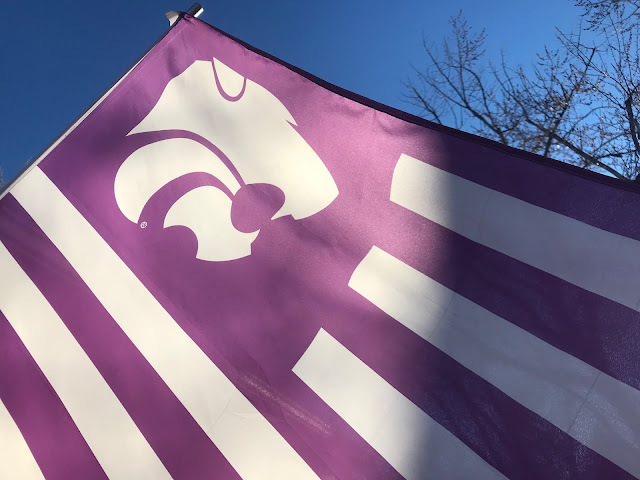 I was pumped for the Cats' unexpected run through the NCAA tournament, and I know of exactly one K-State flag in the Denver metro area, so I directed my run to go directly towards said flag. 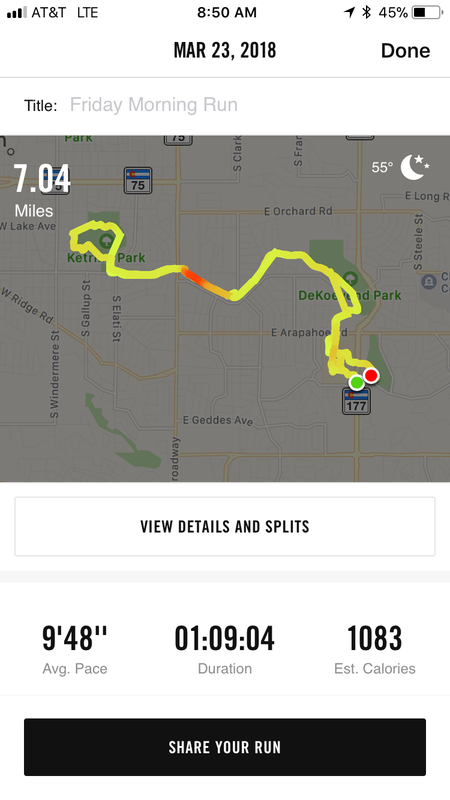 It was a beautiful morning, and I had basketball enthusiasm running through my veins, about the only annoying thing on the run is that I ran one section of my run without restarting my running tracker, so I missed out on around a half a mile of distance towards my monthly goal. I'll still make it to 100 this month, but I always get annoyed when I run but don't get credit towards my goal because of my own mistake.